Transform your party space into a big birthday event your transformers fan is sure to love, and welcome all the guests with Transformers Party Supplies! You can get simple tableware with characters like Optimus Prime and Bumblebee, big decorations to help make your party space perfect, and party favors like mugs, lollipops, and candy tubes to help your guests remember the fun! This party will be much, much more than meets the eye. Chances are you have some fond memories of sitting around the television on Saturday morning, eating a bowl of cereal and being transfixed by the Transformers cartoon. Fast forward a few decades and a series of wildly successful action movies have introduced these transforming robots to a new generation. If your kid hopes to someday own a car that can shift into an evil-fighting robot who doubles as a best friend, then there’s only one way to celebrate his birthday. At BirthdayExpress we have everything you need to transform your house into a fun-filled battlefield between the Decepticons and the Autobots. To get things started, ask your kid who his favorite transformer is. This is important! You’ll want to make sure this robot makes an appearance at the party. That might mean decorating the cake with its image or ordering a cardboard cutout of the robot. If you’re wondering what other parents have done to make their child’s birthday extra special, visit our Ideas and Inspiration blog. Here you’ll find plenty of projects to both inspire and get you excited to plan your own party! Start spreading the word that your action-packed party is about to take place. Your guests will be transformed with excitement when they see the unique shape of the cards and Optimus Prime announcing the fun-filled day in these detailed invitations.This is some text. Decorating your house in preparation for an inter-galactic battle between two Cybertronian races might seem like a tall order. Don’t worry, we have the best décor to impress even the most scrupulous Autobots. 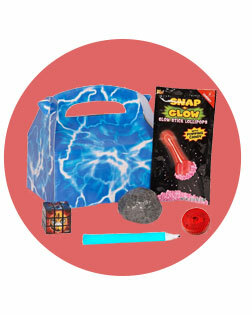 Detailed with your kid’s and his guests’ favorite characters, these items will set their imaginations on fire. The best part is you don’t have to run around town searching for what you need. Save for the All Spark, we have everything you need to throw the best party this side of the galaxy. You nice wood table should be the victim of some unruly robots. With this plastic table cloth, no cake, punch or any other mess those little ones can come up with will smudge your table. You’ll love it and the kids will love the big illustration of two of the most popular transformers: Optimus Prime and Bumblebee. Make the table come alive with this Transformers Centerpiece Decorating Kit. These glittering centerpieces will make it seem like your kid’s favorite characters are eating right along with him. Just be sure not to get any cake in those gears! When the wild robots have transformed themselves into quiet, cake-hungry bots (with a hankering for ice cream), be ready to serve up their favorite deserts on plates illustrated with images of their favorite transformers. We also have napkins and cups that all fit perfectly in with the robotic world you’ve created. Your kids and their guests will be ecstatic to eat among the Autobots and Decepticons they love. Once they're done, these disposable items make cleanup a breeze. With all the decorations in place and your party room ready for the big day, you need to be sure to have plenty of activities to keep these little robots busy. At BirthdayExpress, we’ve searched far and wide to bring you the perfect Transformer-themed activities to focus all that energy! From piñata to puzzle cubes, dress up and more, these activities will transport the partygoers to the planet Cybertron. Give the kids some sugar with the Prime Robot Personalized Lollipops. It is a great idea for a favor box item, as well. 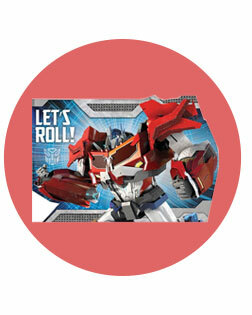 Kids will love these Transformer-themed Favor Containers. 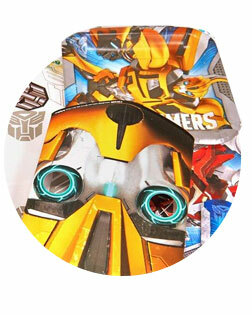 Designed with their favorite Autobots, the kids will absolutely enjoy filling these buckets with fun prizes and gifts. You’ve put a lot of work into transforming this day into a spectacular birthday party for your kid! A big part of the celebration was that all their friends came out to celebrate. Be sure to show all the fellow Autobots and yes, even Decepticons, just how much you appreciate their company by giving them some party favors to take home. These thoughtful gestures are a great way to ensure that your inter-galactic party will be remembered for a long time. Your little guests will be thrilled to go home with this fun-filled party container! Fill it with your kid's favorite treats, such as candy, rings, and more! What's better than rings? Lollipop rings! These stylish rings will remind your guests that they were part of an elite squad who fought off the evil Decepticons at your son’s birthday party.